Watch the video on DentalTown.com creator Howard Farran's interview with Helmut Flasch about the Un-Advertising new patient marketing strategies. "...powerful innovation allows dentists to obtain paying customers using Facebook"
"They are all over the United States ... it's people helping people..."
"...integrates a more dentist-comfortable method for acquiring professional and patient referrals..."
"...gives physicians the ability to create a high level of public exposure..."
Un-Advertising is an elegant healthcare and dental marketing system which gives you a steady stream of new patients without depending only on advertising. Having the community speaking about you and your practice are a lot more believable than your own advertising contents. But how do you achieve the result of many people in your community talking about you and sharing your message -- thus bringing new patients into your door? The Un-advertising strategies get into the "hearts of people" and thus build trust between you and your prospect and increase actual new patients walking into your door! Don't do mass advertising but massively Un-advertise to your local community and increase new patients!!! Ads have little longevity in people's mind. The moment you stop advertising, your prospects forget about you. You and your competitors all sound similar. Prospects can't choose you. Your social media postings get very little shares and likes and hardly any new patients come in because of these interactions. Traditional networking methods like luncheons or promoting yourself to other referrals is too time-consuming and can't be carried out consistently by your own time and effort. Even patients referrals don’t work like they used to. Remember: The lack of execution is another major roadblock to any successful marketing strategy. Any marketing solution which cannot be executed due to having no time or knowledge to implement is NOT a solution! 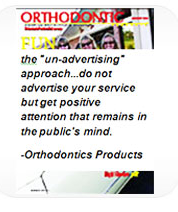 UN-Advertising used in medical and dental marketing makes you unforgettable in the public’s eye. 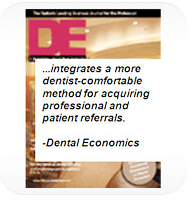 It increases patient referrals even from people who are NOT your patients yet. Your messages will get "viral shares" online and thus giving you FREE exposure. You get referrals and endorsements from other health care professionals. Patient testimonials and reviews will increase drastically online. It gets you FREE publicity from the press -- it will cost you nothing to get endorsements from major news network. If you are currently advertising, it will make your current advertising efforts bring even more new patients. Schedule your FREE 87 min Execution & Strategy Meeting with our marketing consultants to learn how to use Un-Advertising in your practice. Important Note: Even if you do not use or purchase our regular program, you will walk away from this Execution & Strategy Meeting refreshed with new ideas on how to increase new patients without only relying on advertising! Plus: You can get a free second opinion on your current marketing strategies. Yes, pick our brains for ANY and ALL strategies you like to use. We can share lots of experiences -- after all, we have been marketing for dentists, doctors and various professions for over 25 years!! We will create eye-catching messages on Youtube, Facebook etc that can reach at least 40,000 to 100,000 people in your neighborhood. Consumer-generated content meaning social media users forwarding a message is more powerful than self-advertised contents. When we "un-advertise," we create emotional messages which get shared by your local community -- and the sharing in turns touch even more people. Most internet ads are a "one-time shot" where prospects either click and become a client, or forget about your existence totally. Our amplified social media method uses follow-up systems where even if prospects do not buy, they are followed-up again and again automatically. 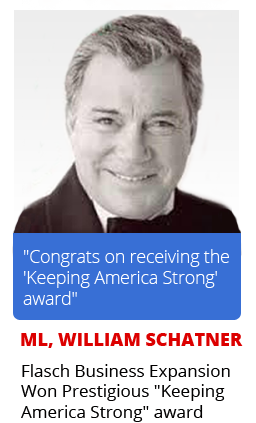 We will get you press mentioning on major news network such as Fox, CBS, NBC, ABC news -- guaranteed. These exposures are FREE -- you do not need to pay for advertising on these networks. You look more 'elegant' to your public as the media is tooting the horn about you, not you trying to toot your own horn. 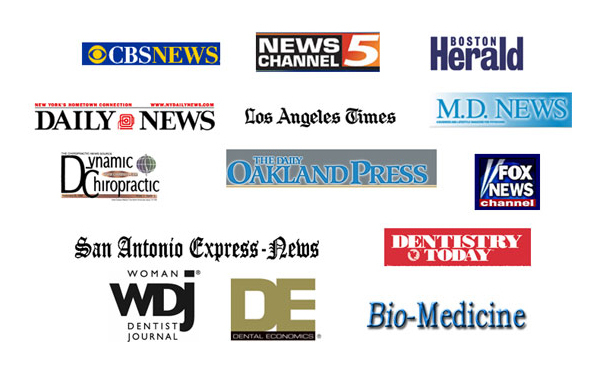 We will also show you how to use this press mentioning in any and all of your websites, in order to create credibility. Your press releases published will be found on Search Engines -- thus you increase your office's exposure online positively to new customers. 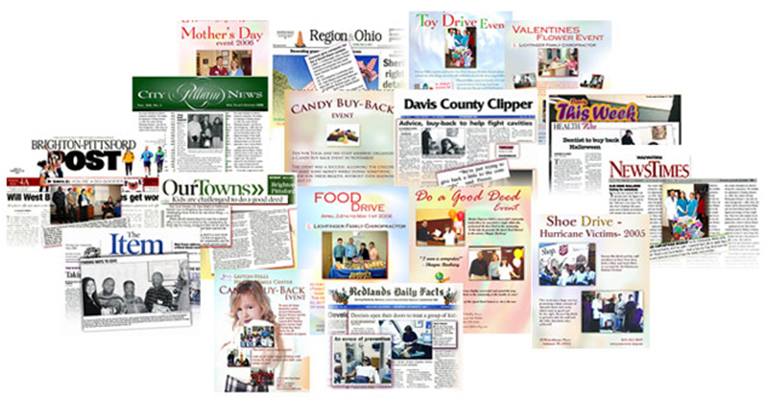 With our program, you will become a celebrity which has been in the news. When The Media Endorses You, It Is The Best and Most-Believed "Advertising." Most business owners are familiar with using videos to showcase their patient testimonials, or to highlight the features of their business. However, videos made professionally and/or in large quantities does not always mean new patients will come from those videos. In fact, for many small business owners, their Youtube videos are hardly watched by enough prospects in their areas to make any impact! The good news is: Un-Advertising improves the effectiveness of video marketing by 1000 percent by creating emotional videos that get views, and that converts. Because of the "natural organic" nature of our video marketing, our clients often go up to the 1st page of google rankings for their businesses. "Videos can convert a stranger to become someone who is a potential buyer. You simply need to know how to harness the power of Un-Advertising to accomplish this." Would you like to be able to sell high end services to prospects who need it? Our one-on-one coaching session will train you and your staff how to effectively close high end services without awkwardness or anxiety or overreaching. Instead of "hard selling", we will show you how to use "care selling" which are easy conversational methods to get patients to say YES. If you would also like to attract more high end cases, our UN-advertising strategies will get your practice to be seen and found by high end prospects who need your services! "Without effective closing and selling skills, you will never achieve the full financial satisfaction of your profession." STRATEGY 5: Get Referrals From Other Doctors and Business Professionals - Without You Or Your Staff Ever Needing To Leave The Office. Learn how to get social and casual referrals from doctors and business professionals in your area without time spent in networking meetings or luncheons. If you are a specialist, this program will increase patient referrals from other doctors in your area without you even asking for referrals! Un-Advertising creates a positive image of you to the professional field. This program will also attract other health care professionals and business owners and their staff to become your patients! How to increase referrals from patients easily and naturally? 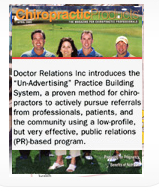 Our Un-Advertising patient referral program is helping offices to increase office income fast -- without depending on external advertising. Would you like to have more existing patients come back for repeated services and/or get their unfinished work completed with you? Our recall program will increase the income value that you can make with each patient. Our Un-Advertising program will also give existing patients more "food-for-talk" and thus they will have more reasons to refer friends and family members to you! "If you want or need to increase your revenue fast, then marketing to people who have bought something from you already will be your best source -- no doubt." 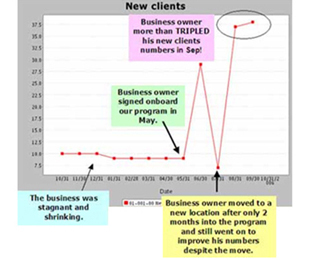 Solo practitioner revitalized a stagnant business and tripled his new patients after only 4 months of using these marketing principles. A doctor constantly had no time and yet business was hitting bottom. After 6 months of using this marketing principle his production DOUBLED. He hired more help and now could breathe! Other people tooting the horn for you because of the positive message you put out is more effective than you tooting your own horn. You can now build trust and recognition even before a new patient step into your office. You will sell more high-end services in your office without spending more money in expensive ads. IN SHORT STOP WORRYING ABOUT NEW PATIENTS – AND LIVE THE LIFE A DOCTOR DESERVES, EVEN IF YOUR COMPETITION DOES NOT. HINT: The competition is drying out by being inert and WAITING for things naturally to get better. What Do Doctors Say About "Un-Advertising"? 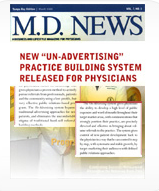 Watch the video on how a doctor "Un-Advertise" and receive 100-150 new patients calls in one day. Watch the video on how a dentist gets patients without advertising. 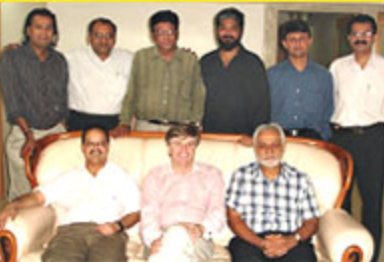 A dentist in Mumbai met Mr Flasch and have asked him if he could grow his practice beyond that of a solo practitioner. Mr Flasch answered with a resounding "Yes, of course!" and showed him how. Now, this dentist has two offices, with 30 doctors working for him. But that is not the best yet. He also has enough time to pursue his hobby - film-making. He has produced a movie for which he has won an award because the movie has lasted 52 weeks in the box office, shown in theaters across the country! and I also attained my goal for my personal life!" 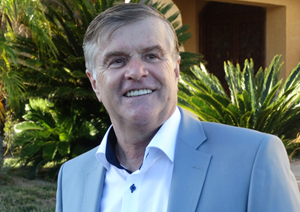 "I have invested thousands of dollar in practice management consultants without getting significant improvement. From the time Doctor Relations started to help me, my statistics doubled up in new patients in the first month and tripled in three months." "I have tripled my practices. In the past year and a half, I have not practiced dentistry myself because there's no need to practice!" 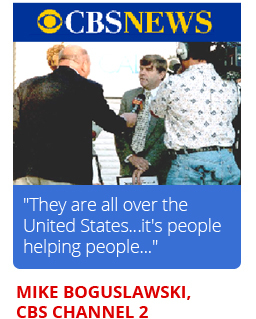 "The event was a success and we managed to get EVERY news station in [city] to attend. It was broadcast that night on all news stations." "In just 2 years since you started helping us with your philosophy my practice has dramatically improved. Again in just 2 years I went from seeing an average of 12 new patients a month to seeing 125 new patients a month, from just one doctor to six doctors in my office." 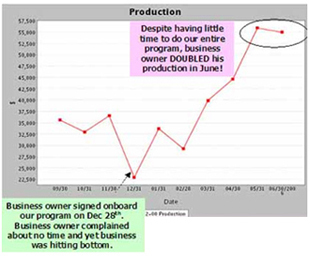 "My patients more than doubled within 5 months and production doubled in 6 months!" "I have learnt many things from Doctor Relations so far but one of the most unusual and valuable thing has been learning how to create my own news coverage. I know this skill will continue to help me throughout my career." "I don’t know of any other management consulting company that teaches health professionals how to get their own news coverage." 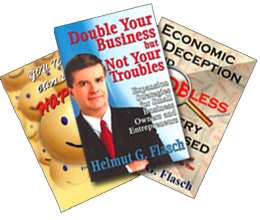 "After only 10 months of consulting from Mr Flasch, my plastic manufacturing company owner expanded by 3 times the size. Now it is a large international player in my industry." Remember: Even if you do not purchase our program after speaking to us, you will still walk away refreshed with new ideas! Flasch International is most well-known for the national award-winning marketing strategy called "Un-Advertising." Un-Advertising means to make use of other entities outside your office to market your message for you. "Instead of you tooting your own horn (advertising), get other people to toot the horn for you (un-advertising.)" 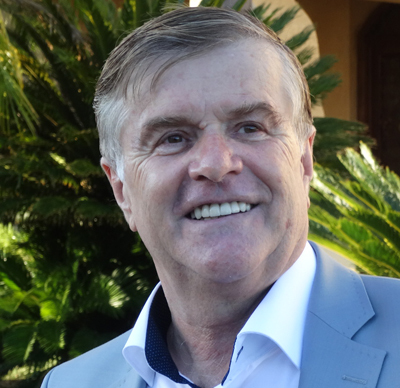 The founder, Mr. Helmut Flasch, has helped doctors, dentists and small to large business owners in over 3 continents to grow and expand their businesses. As an international speaker, he has lectured to hundreds of thousands audiences around the world about solving seemingly complex work and life problems, with simple practical solutions.